If you have any questions or would like to talk to us about anything, just give us a call! It's the easiest way to contact us. If you would prefer, you can email us at one of the addresses listed below. Willis Shutt started in aviation as a line person for M&M Aero in 1997. He then moved over to the Wellsville Flying Service in 1998, continued line service, and Airfield maintenance. In 2000, he began in-house training to get his A&P certificate to do aircraft maintenance under Charlie Thompson, Wellsville Flying Service Director of Maintenance. In 2005, Mr. Shutt attended Baker's A&P School in Nashville, Tennessee to finish getting his A&P certificate. There, he served as the Line Service Supervisor and A&P Mechanic. In 2010, he became the Assistant Airport Manager as well as A&P Mechanic and Assistant Director of Maintenance for Wellsville Flying Service. 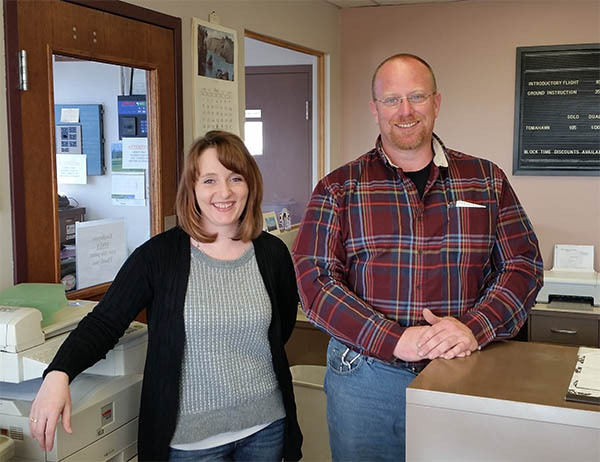 In 2016, Mr. Shutt was hired as the Airport Manager for the Town of Wellsville.